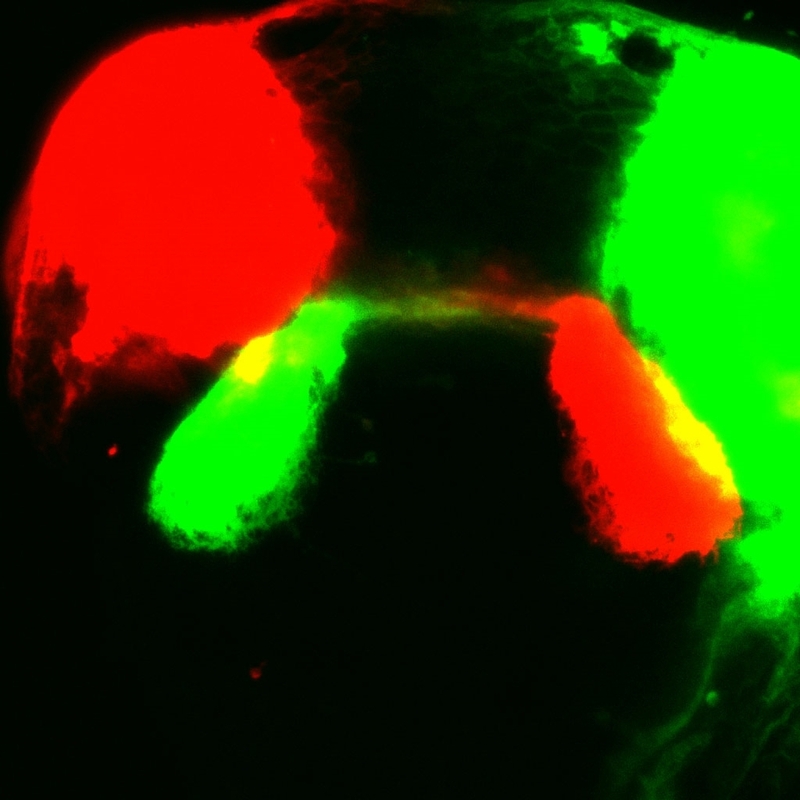 Two-color dye injection into the eyes of a 96 hpf zebrafish embryo to visualize crossing of the optic chiasm. Image courtesy of the Wythe Lab. IHC aPKC (red) and acetylated tubulin (green) for visualization of ephithelium and cilia in Kupffer's Vesicle of a 12-16 somite stage zebrafish embryo. Image courtesy of the Amack and Wythe Labs. TP1::nls-mCherry (active Notch signaling); ETV2-BAC::eyfp (endothelium) 36 hpf zebrafish embryo. Image courtesy of the Wythe lab. Tg(Dll4-F2-E1b::EGFP) (arteries); Tg(kdrl::mem-mCherry) (all endothelium) zebrafish embryo, dorsal view. Image courtesy of the Fish and Wythe Labs.